The C Pascal Triangle is a triangle with array of binomial coefficients. In this article we will show you, How to write a Program to print Pascal Triangle in C language with example. This pascal triangle in C program allows the user to enter the maximum number of rows he/she want to print as pascal triangle. We are going to print the pascal triangle of integers until it reaches the user specified rows. Following statements will allow the User to enter the range or maximum Number of rows he/she want to print as pascal triangle. The j value will be 2 and the condition (2 <= (3 – 0 – 2)) is False so it will exit from the for loop. We haven’t finished the first iteration of the Outer for loop so, i value is still 0. The value of j is 0 and the condition (0 <= 0) is True. So, empty space will be printed as output. Next, j value will also be incremented by 1. We haven’t finished the second iteration of the Outer for loop so, i value is still 1. We haven’t finished the third iteration of the Outer for loop so, i value is still 2. The value of i will be 3 and the condition (3 < 3) is False. So it will exit from the for loop. 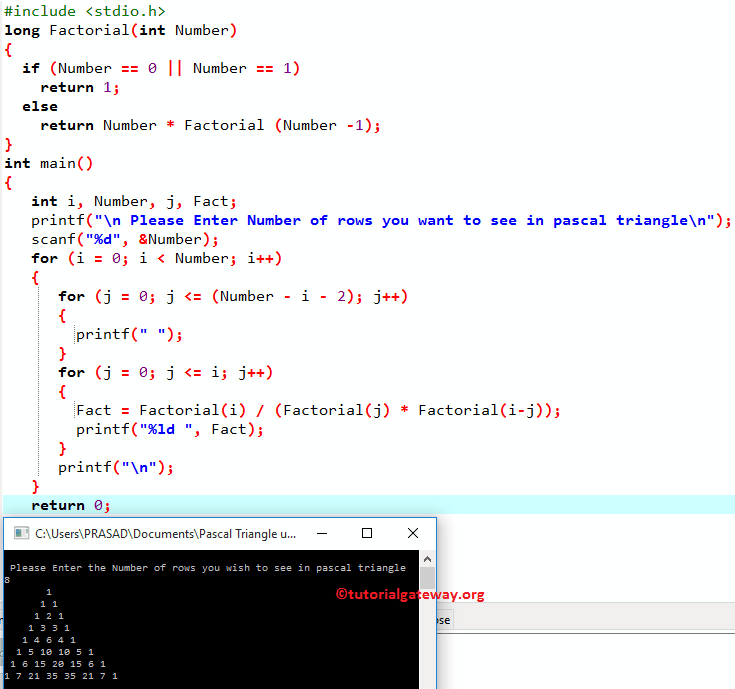 This program for pascal triangle in c allows the user to enter the number of rows he/she want to print as Pascal triangle. 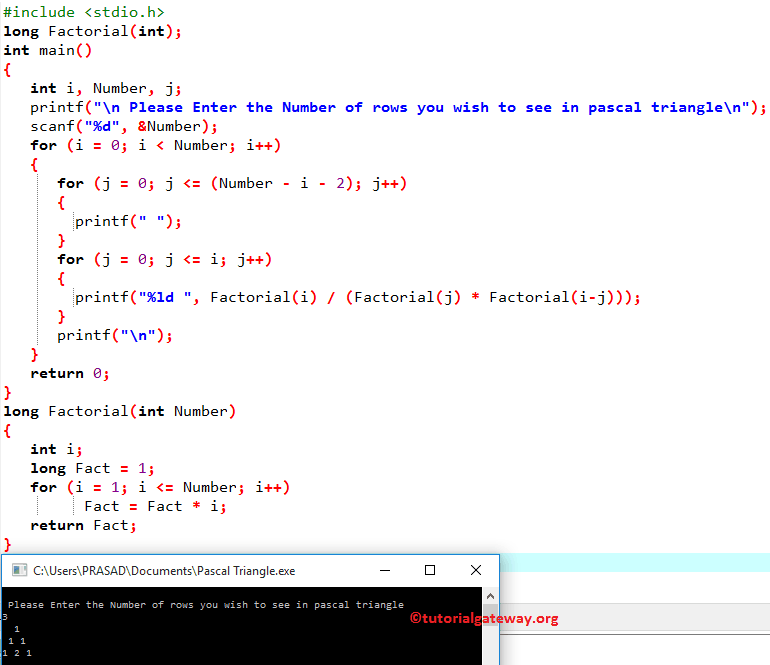 In this example we are going to use the code snippet that we used in our first example but this time we are using the recursive function to find factorial.